WE'RE back with another episode of The Big Rigs Podcast! This week we let you know what happened at the 1979 Razorback Memorial truck stop and we catch up with Queensland Trucking Association's CEO Gary Mahon. Donal Sullivan, a girl from the Aussie outback, also shared with us her funny blog inspired by David Attenborough. As always, we've got Yogi sharing his thoughts on the industry with us and host and Big Rigs contributor Graham Harsant - or Kermie as you might know him by - gives us an update on his weight loss journey. 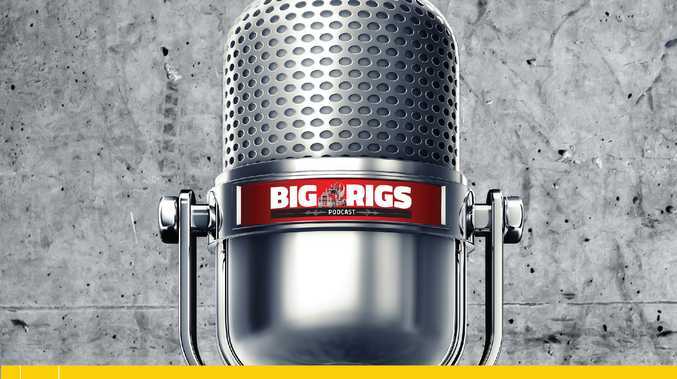 Want to have your say on the Big Rigs Podcast? Give us a call on (07) 3817 1770 or email us at podcast@bigrigs.com.au.